Hollywood legend Audrey Hepburn inspired Ottiu’s designers to create the stylish Audrey Bench. Part of the Century Collection, this elegant bench has a distinct mid-century modern shape upholstered in a soft black velvet. 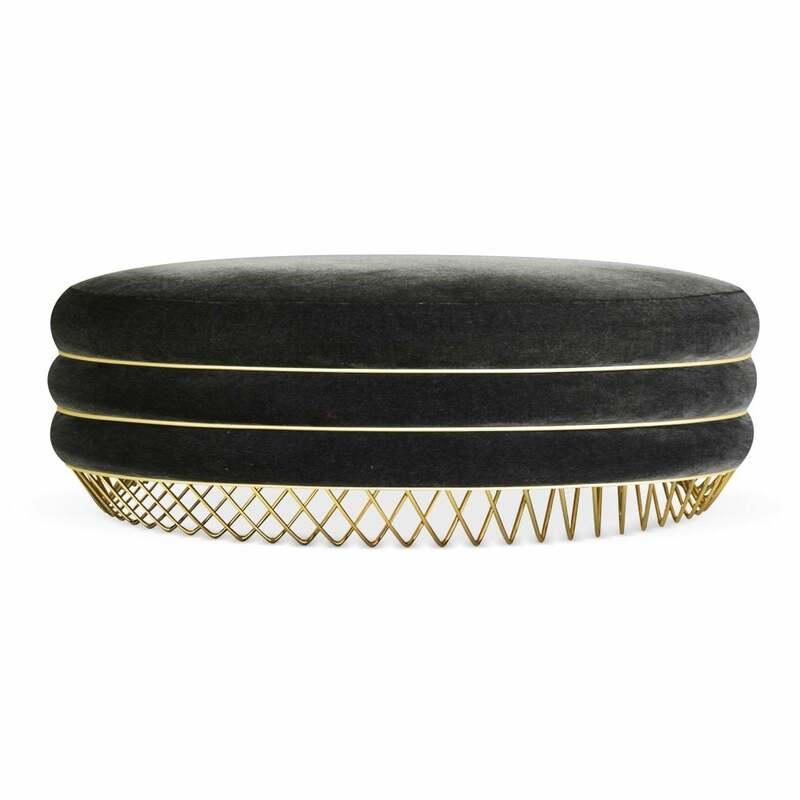 Featuring a polished brass structure, the Audrey bench will add a touch of glamour to any bedroom scheme. Position at the end of your bed and drape over a cosy throw and silk cushions for a luxe look. The Audrey Bench is available in a range of colours and fabrics. Get in touch with our team for information and advice.